“F-35 Patuxent River Integrated Test Force team wraps up sloped landing pad testing at Marine Corps Auxiliary Field Bogue, North Carolina for jet BF-2, an F-35B model, also known as Short Take-Off, Vertical Landing (STOVL). The test flight was flown with the spin chute and external AIM-9x for center of gravity vertical testing.” – MCAS Cherry Point Facebook Post. Recently, the Duke football team overwhelmed its first two opponents scoring over 100 points for the first time since 1945 when they beat South Carolina 60-0 and Bogue Field 76-0. That’s right, Bogue Field had a football team. Here’s one recent account. I did a little digging and found that Duke has some video but it would cost about $100 to digitize. I also found some references in Football! Navy! War! by Wilbur D. Jones, jr. that referred to (Quite) A Few Good Men by John A. Gunn. “Bogue Field made more headlines by losing one game than it did in the remainder of its two abbreviated seasons” was the common line. For Duke, it was a record breaking start to the season with a 76 point win and 136 points for the first two games. They were eventually beaten by the National Champion Army and Navy teams later that season. For Bogue Field, it was a national spotlight. Finding themselves on the front sports page in some newspapers. They went on to beat Oak Grove 6-0 and lost to Little Creek by the same score. They were ranked #56 by the Williamson Rating Service ahead of many other service teams. In 1944, they lost to Camp Lejeune, 0-41, and MCAS Kinston, 0-8. Gunn also provides the rosters for both years as well as a comprehensive look into Marine football in the mid-20th century. It is remarkable how prevalent football was on military bases even as WWII was raging abroad. If you were on the team or watched the games, please post some comments about the experience. MWSS-272 came over to Bogue to get their ‘Rat’ status! Thanks to MSgt Romero for sending in this piece. And don’t forget to browse over to the PX and pick up a miniature VTOL Coaster while they last! MWSS-272 installing a 96×96 VTOL pad in the engineer pit. More training at Bogue. Full article is located here. A great pair of articles and photos by Mike Barton on the kidnapping of the Bogue Rat in 1983. Mr. Barton worked at Public Affairs back then and documented the events for the Windsock. Now, lucky for us, he is still a working at PAO and has released a followup on Facebook. You can find the original article after the break. COMPLETED. Things might get a little wonky as I transition. Time to upgrade the site to use SSL certificates to improve security and block out all those hackers and bots that assail this site daily. I haven’t had a breach but doesn’t hurt to lay down some barbed wire on the perimeter. The links and images may get a bit jumbled as I move things around. UPDATE: Migration is completed, the PX was moved and updated to speed checkout. If you are experiencing any problems, please let me know. 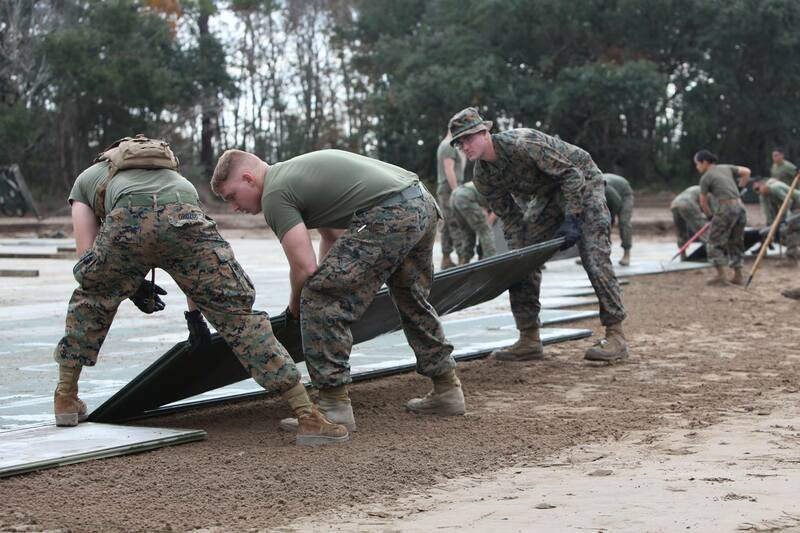 Just saw an awesome post on the Cherry Point Facebook page of Marines from 271 slamming mat at Bogue Field. Go checkout the full story there. Nice to see the best things in the Corps never change! New coins in the store! Just have a few from this first batch listed. I will be taking preorders for the next batch as soon as I get the order in. Looks like his coach isn’t doing their job. GET YOUR BODY BEHIND THE RIFLE!! Preparing an order for what could be the first MCALF Bogue coin not specific to a unit. I just sent for a quote and will post an update when they are received and in the PX! 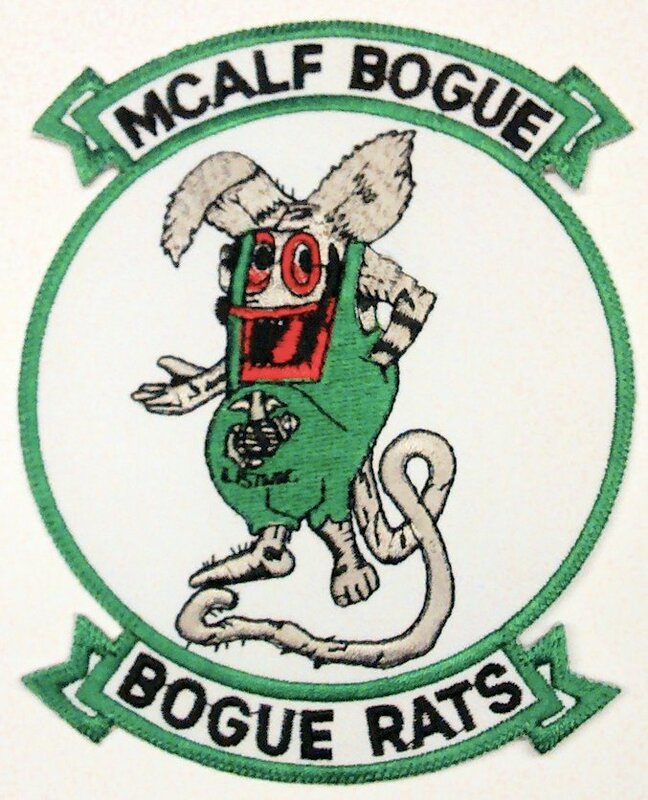 You can now purchase two versions of the Bogue Rat patch in the store! I will only have a few on hand so if it is out of stock and you want one, send me a message or post on this site and I’ll drive up to ET’s in Havelock and pick up some more. The price will vary depending on the deal they give me. That’s it, just a quick report came in from SSgt Goodwin. Sounds like the Marines at Bogue are finally getting some good action on the airfield. Wow, this is rare. I was lucky to see this bird circling overhead around the time of the arrestment. Wish I had stopped in at Bogue to see the action. Talked with one of the EAF Marines and he said that this was the first actual arrestment for his crew but they handled themselves well and took care of business. 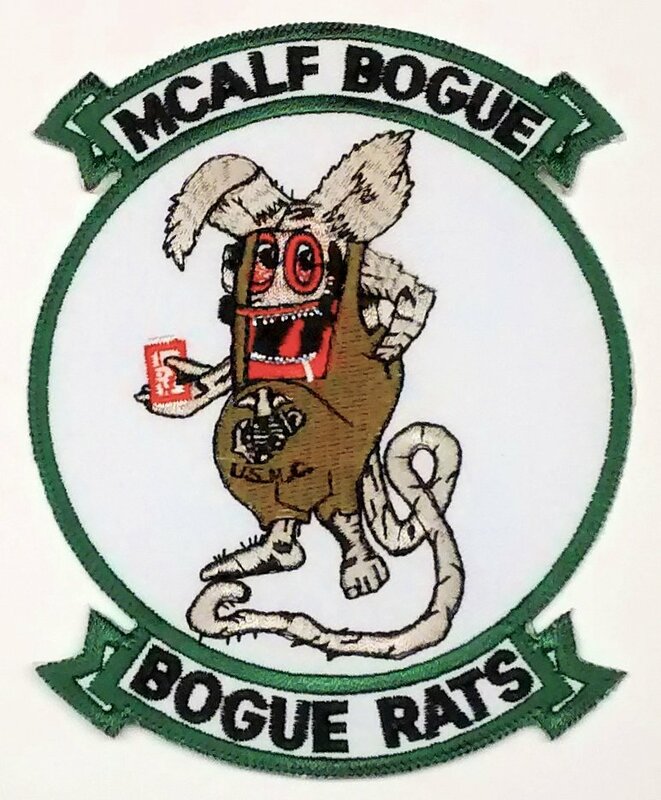 Semper Fi, my hat’s off to the Rat’s of Bogue! See the full article in this edition of the Cherry Point Windsock. Some of you may have done this before! Another matting project underway at MCALF Bogue to improve FOD prevention and convert the simulated LHA into an LHD. I started planning the conversion in 2008 and I just missed the execution as I retire this month. You can check out the full article here. I recognize SSgt Goodwin down there on the right with the oversized Bogue Rat patch from E T’s Military Surplus. 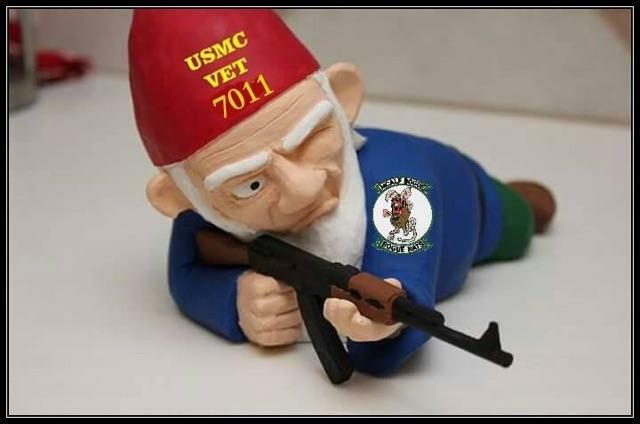 Semper Fi, Brother!! Now I have the 3d Printer running and it is just amazing what you can create with a little melted plastic. Holy Smokes! That’s really banding and as realistic as I can get in my garage workshop. I bought a laser engraver off eBay earlier this year and have come up with some EAF VTOL Coasters that you might enjoy. The designs are similar to the old CAL sites and the current CALA pads. Check out the store at http://px.boguerat.com. Most the proceeds will go toward the fees for the Bogue Rat website. Fulfilling a 6 year old promise. I finally posted the history page. Stop by and learn the history of MCALF Bogue. We have 40 posts since the guestbook was added. Thank you all for sharing your experiences at Bogue. I left last year for Cherry Point and I miss being away from the flagpole. Just got back from a trip to the hangers in Vaernes, Norway where I presented a coin (previously offered on this site) to JT, the Supervisor there. He manages a whole lot of gear for the Corps. I previously posted a coin at the World Trade Center memorial site back in ’07. Sorry for the lack of a photo in Norway as it was a spur of the moment thing. Just approved a slew of comments for the guestbook, et.al. I’m not receiving notices from the site when you post so I’ll get in there a bit more often to check on new activity. Facilities Maintenance got around to knocking down a huge amount of trees off the approach of 23 and I was able to reclaim three huge sections of pine that I’m looking to transform into plaque material. I have it out in the backyard drying right now and will keep ya’ll posted on what I end up doing with it. 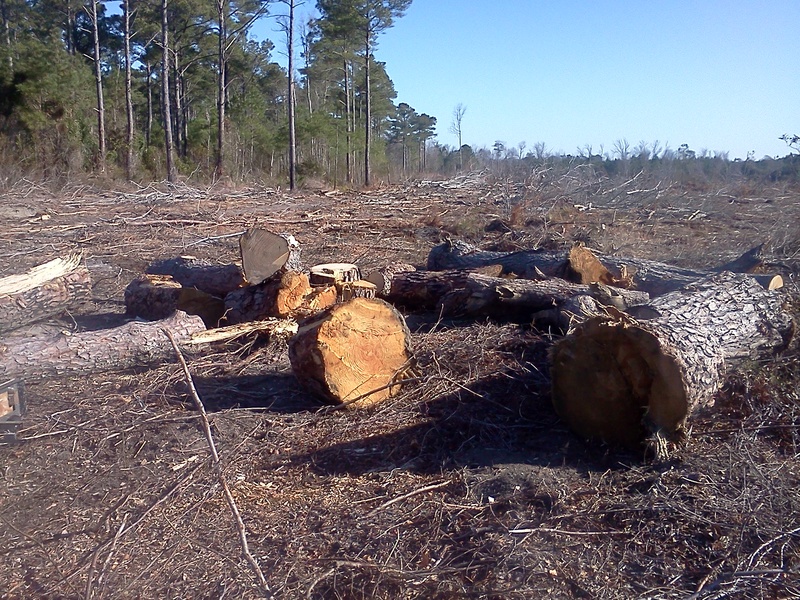 If you live close to Bogue and can still get on the base, you can get a permit to take fallen logs for firewood.